If you've been charged with a crime in Ohio, protect your rights and your record by calling Mango Law. Dominic Mango is one of the most respected and effective criminal defense attorneys in the Gahanna OH area and throughout Central Ohio. When charged with a crime in Ohio, it's crucial to secure a defense attorney early in the process. With years of experience in crafting expert legal defenses, Gahanna OH's leading criminal defense attorney Dominic Mango is dedicated and focused on defending your rights. Mango Law LLC is centered on aggressive and dependable legal defense of your record. If you are accused of a crime in Ohio, it's crucial to find experienced legal representation that will be focused on your case. Call (740) 602-2155 and for a FREE case evaluation. 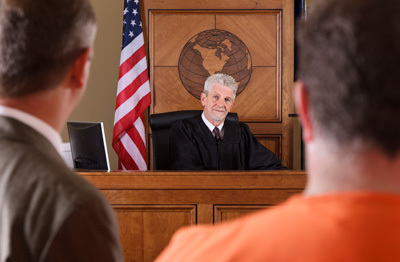 If you want the strongest defense for your criminal case, get the lawyer who has years of experience on both sides. As a former prosecutor whose experience includes more than 130 jury trails, Dominic Mango's insight into the legal process helps him to get the best results for his clients. With his background as a former prosecutor and 10+ years as a defense attorney, Dominic Mango will ensure you have the best defense available for your case. Contact Mango Law today to learn more about how we can help you or request a free case evaluation by filling out the form on this page.